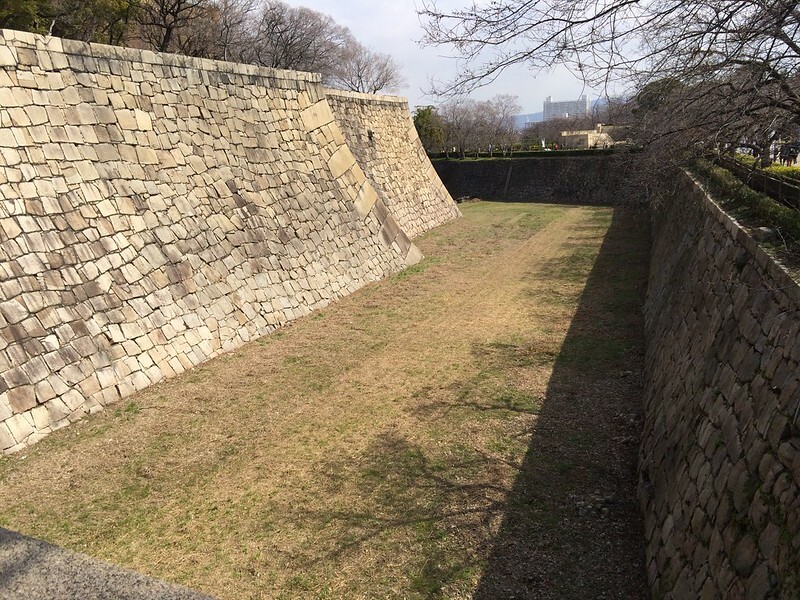 Encircling Hommaru (Inner Bailey), the inner moat is filled with water from the east to the north but from the south to the west there is no water. 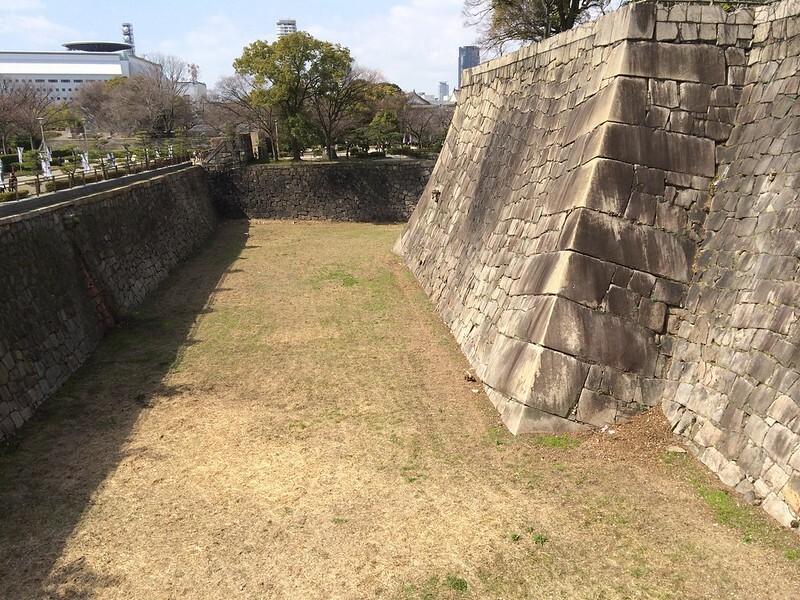 In the original Osaka Castle built by Hideyoshi Toyotomi, the southern part of the inner moat was dry. 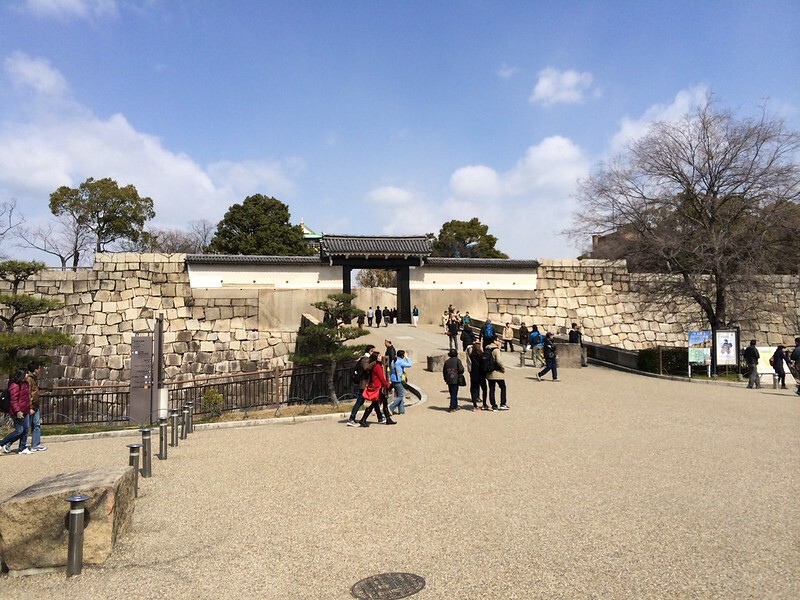 It has been also dry since the castle was reconstructed in 1624 during the Tokugawa Shogunate. 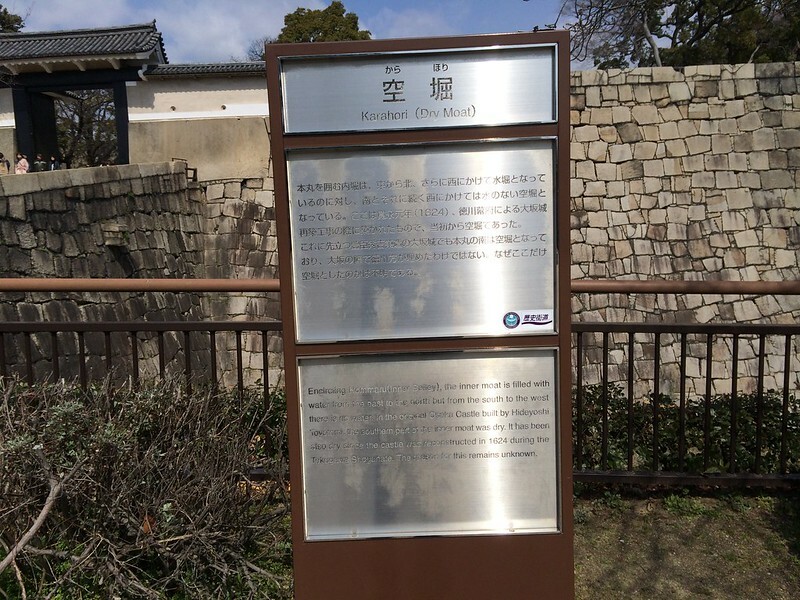 The reason for this remains unknown.